Looking for private in-home or in-studio Theater Acting classes? Our Higley teachers are ready to get you started. Find your teacher today! Check out some of our most popular teachers near Higley, AZ including Phoenix, Chandler, Tempe, Scottsdale and Gilbert. I have a Master's Degree in Education, and teach all levels of acting and directing for the stage and/or screen. Whether you need a video presentation for your boss or you want to try your hand at live theatre, from the community stage to that professional audition, I can help. I have studied, worked as an actress and a director and taught in Berlin, London and New York - both in theater and opera. I was the first person to ever be offered the Juilliard Opera directing Fellowship two years in a row (where I worked primarily with Postgraduate students) and have worked with actors and singers across the country as well as in several German A-houses. After studying a variety of acting methods over the years, I have developed my own method of approaching a character or an audition monologue/song, which encompasses the physical, emotional and intellectual in order to create an easily accessible three-dimensional person. I will not only help you apply said method, but also teach you the tools so you may access it on your own at any time. Finally, I have received critical acclaim as a young director, and - as a teacher - I have a track record of helping people get hired from major auditions. I am a professional stage director, who has worked in Germany, England and across the United States. I have worked with singers as well as actors, as a teacher, assistant director and director. I graduated as an Associate of King’s College London with a degree in Philosophy and significant experience acting and directing for independent theater companies in London. I then went on to work as an assistant director in major German opera houses, where I learned how to apply the same teaching and dierecting methods with singers. At only 23 I was offered the Juilliard Opera Directing Fellowship - and I was the first person, to whom it was offered two years in a row. At Juilliard, I mostly worked with the few selected Postgraduate students. ching privately instead. My students have repeatedly gotten hired for auditions I coached them for (amongst other places at the Metropolitan Opera) and gotten great reviews for jobs I coached them on. Ophelie is great at simultaneously allowing her students to explore their own discoveries, and focusing their energy on the genuine message behind a story. She finds a way of making everything real and relatable, at encourages her students to succeed. Ophelie is an incredibly personable, intuitive, bright director and acting coach! Working with the student’s natural instincts, she invites you to go deeper and further with it. She also helps you think about spacial awareness on stage, in relation to the stage set up and fellow actors, creating an overall beautiful and dynamic scene. I highly recommend working with her! “I cannot recommend Ophelia Wolf any higher as an acting coach and stage director. I worked with her privately on staging all of my audition arias. Her genius is connecting your unique story to the character. She knows intuitively how to break down emotional/body tension to free up performance and discover your truth. She has a flexible formula for analyzing characters and making them immediately personal to you. As a German native speaker, she prepared me for all of my audition trips to Germany. With her guidance in perfecting diction and conversational style, I gave a confident tour. I also sought out her method when giving a series of masterclasses on how to interpret characters. We worked together right before my first audition for the Met, and I got the job! You’ll love working with this director who has experience working with the greatest opera houses in the world." I pioneered a private Arts Academy drama school for 4 years, and am now teaching acting and directing at a middle and high school. My goal is to help students become well-rounded in all the areas that are needed to truly become a working actor. These areas include: auditioning, theater, film, and improvisation. Being a repertory performer for Silver Star Playhouse (musical theater parodies), and having lots of experience and training in improv and interactive dinner theaters really trains you in comedy. My husband also owns Sound waves Productions (technological advanced studio in Gilbert)- so completing remote voiceover work for a reel is not out of the question. I also encourage students to pair in duos for effective scene work and more in-depth technique training (this will also split your lesson cost in half). I am currently a full time drama and art teacher at Lumos Arts Academy; a private school I have played a role in pioneering. I also created a Theater and Film Program at Experience Arts School where students ages 5- adult could take classes (group or private) or join an acting company for regular performance gigs. I also directed multiple musicals during this time. My company competed with the AZ Thespians and took home many superior scores. l music videos for Soundwaves Productions in Gilbert. I believe that each actor learns differently, and the best way is to become well-rounded in your training to discover what works best for you. I have become very well trained in identifying strengths and weaknesses in actors, and will work with you on the best technique to suit your needs and style. I was in multiple productions with Ms Rebecca and each time she brought me out of my comfort zone. She has made me look at all of my skills and put each of them to the test. I have been in several productions with Rebecca and each time she has stretched me as an actor and performer. Rebecca really pulls you into part of the production by being open to your ideas about the character and challenges you to really owen your craft on the stage and your professionalism behind and off the stage. She truly is a developer and loves to see individuals grow. I cannot recommend her enough. I was honored to be a part of multiple theater Productions directed by Rebecca. 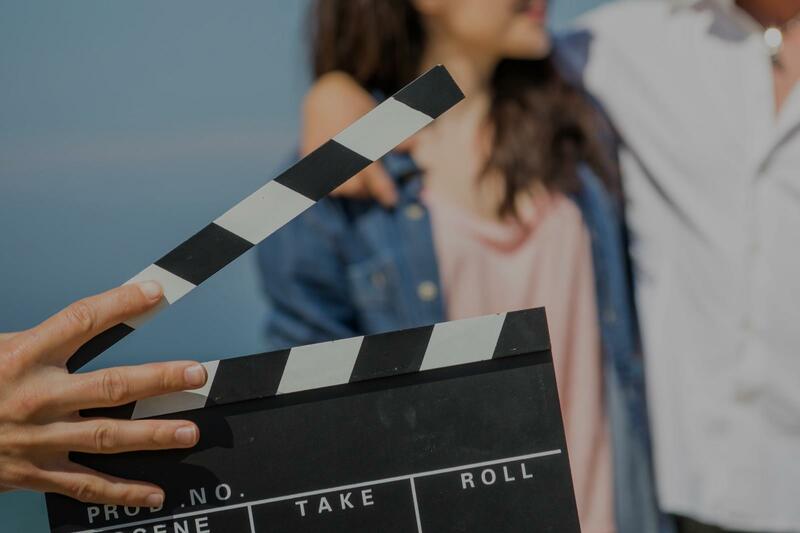 She is definitely skilled and pushing the actor passes his or her comfort zone while giving them the tools to push past their personal limitations and is constantly encouraging and upbeat. First as a director, then teacher, then cast member she is a tireless asset and teacher. Step-by-step guidance towards developing authentic acting technique for improv & interpretation of dramatic script. Let's help you unleash the inner actor within! Hi! My name is Lilla, I'm a Juilliard graduate (BM & MM) who specializes with all levels, ages and styles! I've performed at places like Carnegie Hall and have been featured in The New York Times, Business Insider, WQXR Radio, truTV, Alive Magazine, Opera Today, and Seen & Heard International. - Write Your Own Monologue! Can't find a teacher in Higley, AZ?